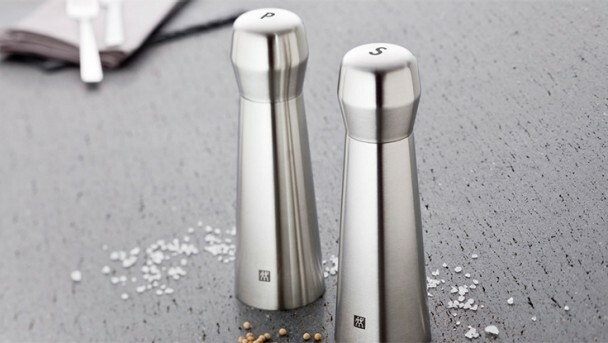 Large and small salt and pepper mills in stainless steel and synthetic black or white, with a durable ceramic grinding mechanism. The grinders feature a clear and accentuated shape and are easy to handle. 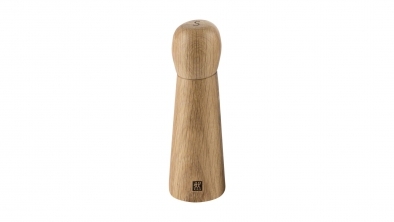 The grinder is very easy to open using the practical “Pull & Fill” mechanism on the rotary knob. 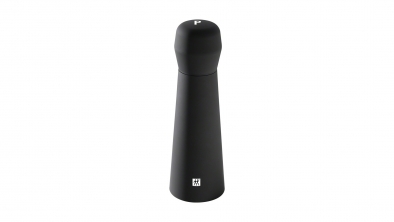 The large refill opening enables you to refill the grinder easily from the top without spilling. The high-quality ceramic grinder is well suited for grinding salt and pepper since it does not rust and is completely resistant to abrasion. 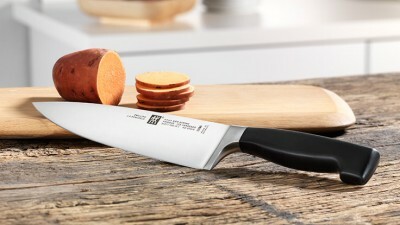 The grinding mechanism is infinitely adjustable – from coarse to powder fine. 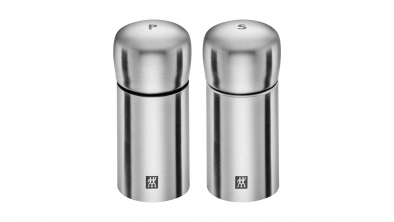 Salt and pepper mill, set of 2 pcs. 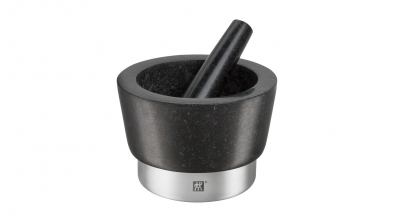 This traditional stone and stainless steel Pestle and Mortar by ZWILLING can be used to crush and grind spices, herbs and grains. 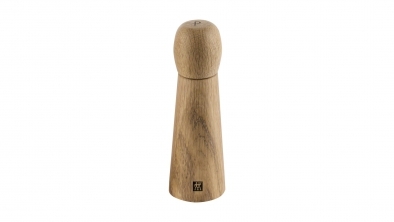 This releases essential oils, enabling them to develop their full flavour. 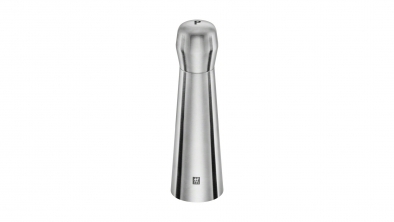 ZWILLING pestles and mortars are neutral in terms of taste, extremely robust and impact resistant, as well as being decorative. MIDTOWN is distinguished by its almost perfect simplicity – and thus embodies a unique elegance. 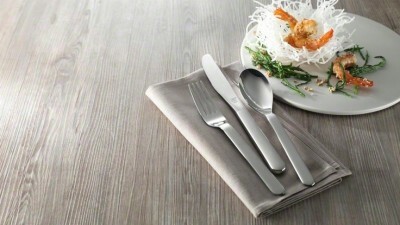 Its matte finish creates a delightful contrast to the polished edges, giving this flatware line an even more original look. Designed by Matteo Thun. 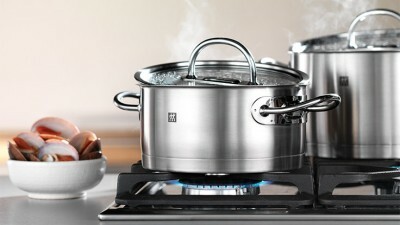 The straightforward and versatile cookware with a clear and traditional design is the perfect accompaniment for contemporary and healthy cooking.